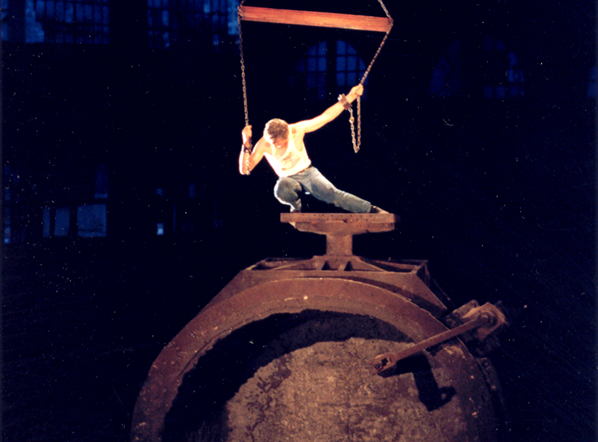 In 1998, after an almost 150-year history building this nation, Bethlehem Steel shut down steel-making in Bethlehem. To help the community work its way through that traumatic change, Touchstone created Steel Festival: The Art of an Industry. Now, as 2019 approaches and with it the 20th anniversary of that extraordinary event, we face a challenge of a different and perhaps more daunting nature: who are we, now that the Steel is gone? What are the challenges ahead, and what will hold us together as a community, as we address the task of shaping our future? Partnering with the City of Bethlehem, Touchstone has held hundreds of hours of meaningful conversations throughout the community around these questions, and from these conversations and the creative ideas they’ve fostered, the design for this new and singular festival, Festival UnBound, has evolved. For 10 days in October, all eyes and ears will focus on Bethlehem’s flourishing SouthSide Arts District as the people of Bethlehem and environs celebrate and engage in a festival that will draw over 10,000 participants and attendees — arriving for music, theatre, parade, street performances, and spirited dialogue. Join us in October 2019 for Festival UnBound, as we forge a vision forward– through art– for Bethlehem, our home by the river.